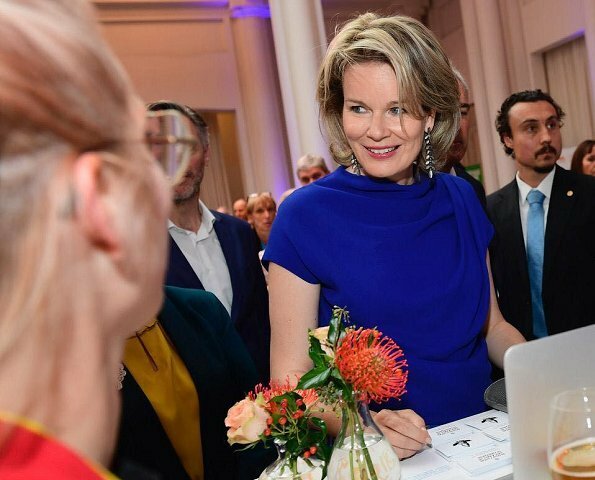 On October 17, 2018, Queen Mathilde attended YouthStart Entrepreneurial Day held at Bozar Center for Fine Arts in Brussels and met with YouthStart students. During the annual YouthStart Entrepreneurial Day, young people present their business plans to the public. Winning this entrepreneurial competition on a national level allows the YouthStart students to participate in international competitions. 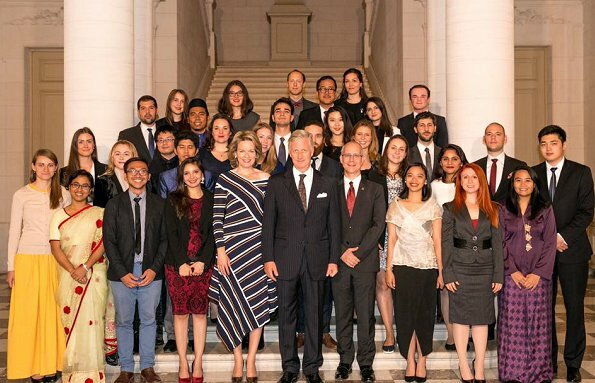 YouthStart is a non profit organization which aims to improve the self-confidence of opportunity-seeking young people and provide possibilities for them to achieve their ambitions. 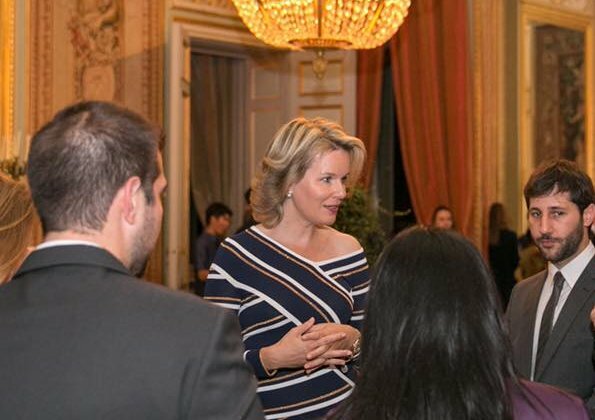 On October 16, 2018, Queen Mathilde and King Philippe held a dinner at the Royal Palace for promising young professionals attending the 3rd Asia-Europe Young Leaders Summit. 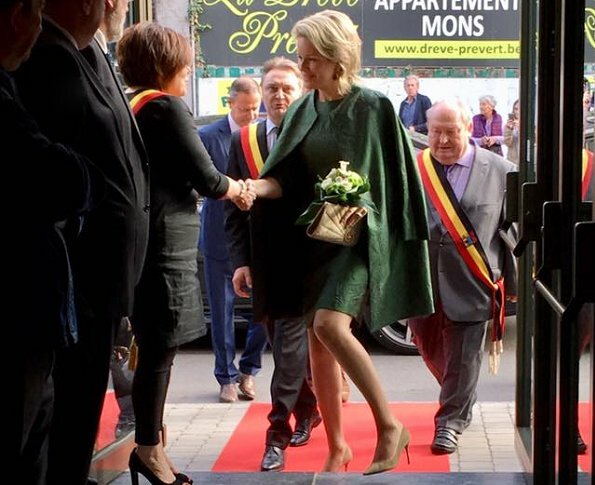 Today, Queen Mathilde visited Provincial Hotel School in Saint-Ghislain (Hainaut state), which educates chefs for hotels. 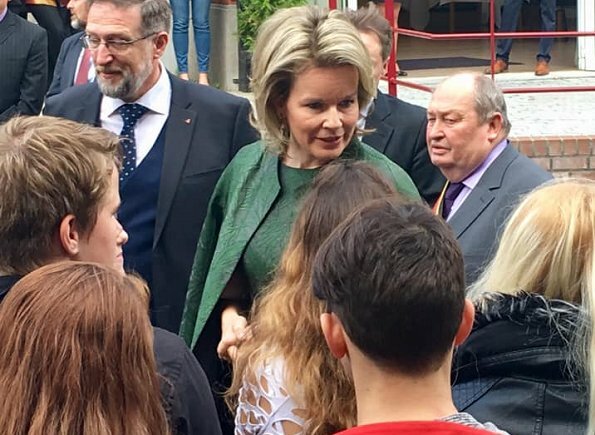 The Queen met with trainees who will work in hotel industry. Busy Lady.Like the blue skirt and top this is a nice color for her. The striped dress is not my taste, too many stripes every which way.The green ensemble looks good on her. O, I like this stripped dress! 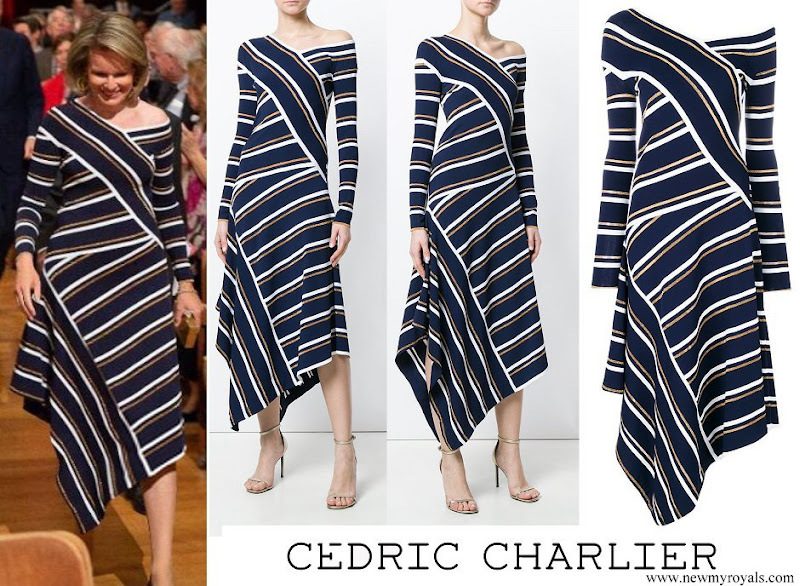 Not a good choice for Q.Mathilde the asymmetric stripped dress. Her hips look terribly wide. 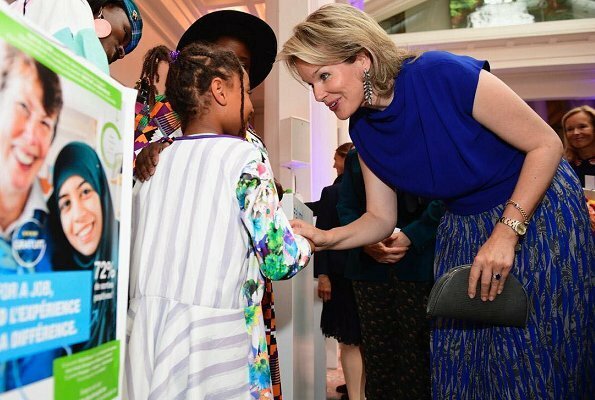 I love the blue outfit especially the skirt, she looks good in the green and I like the asymmetrical dress - a bit of experimentation for her. 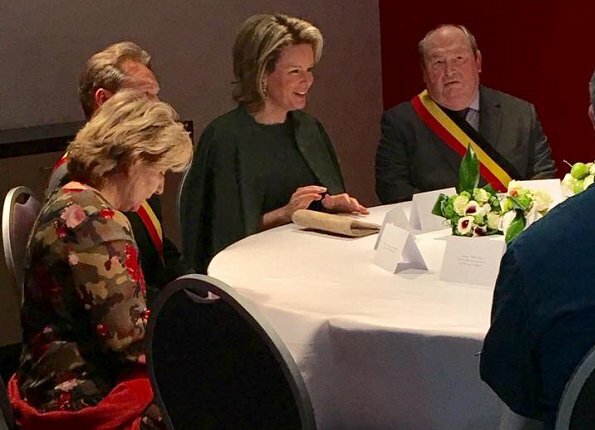 She seems to be growing her hair a bit as well. The striped dress is awful & makes her look massive. On the other hand, the other two outfits are both good. I like the green outfit very much although the skirt looks a little short. The blue top is a beautiful colour and suits Mathilde perfectly. She always seems so happy & positive. 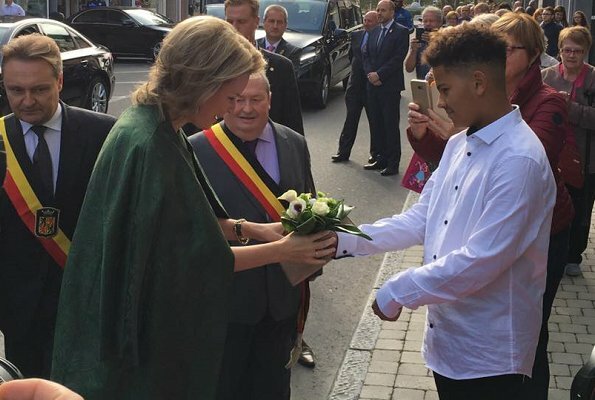 alles wat ze aan heeft ,is prachtig ,en vooral die streep heel modern!!!! !